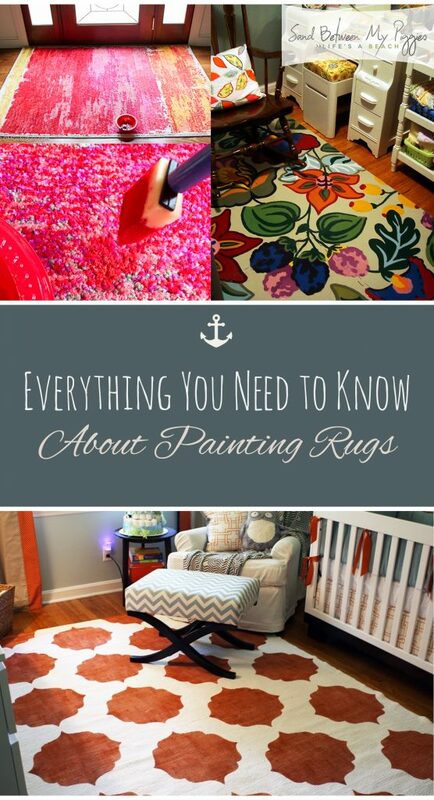 If you’ve got a rug that you just don’t love, never fear; a coat of paint is here! Seriously! 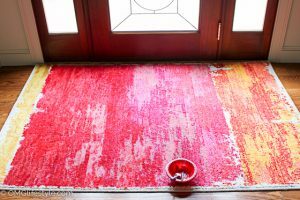 Did you know that you can completely alter the look of a woven rug with a few coats of paint and the correct technique? I’ve got the secret to that fantastic technique, and I’m more than willing to share! 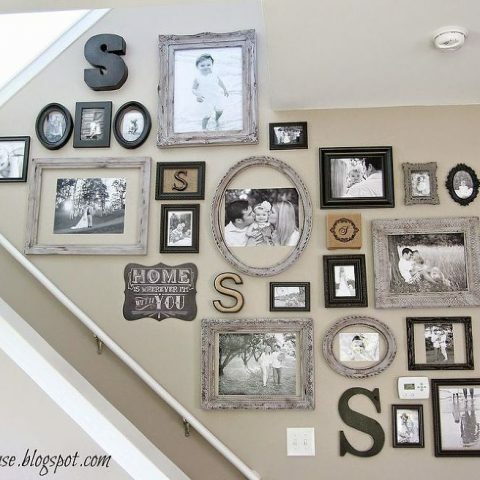 Step 1: Choose a design for your rug. Do you want stripes, circles, or your own funky pattern? 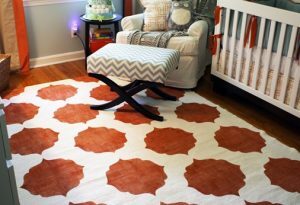 Plan out your design and use painters tape to plan it out as a stencil on your rug. After taping, cover your work space with a plastic drop cloth! Step 2: After your stencil is planned out, use foam brushes (of any size) to paint out your pattern. Paying attention to the recommendations on the paint can, remove the painters tape after an adequate amount of time has passed. Step 3: After your paint has fully dried, apply a fabric sealant to the surface to protect your rug from daily messes. As always, follow the instructions on the label when it comes to application and dry time. Ta-da! You’re done! Doesn’t that look much better? 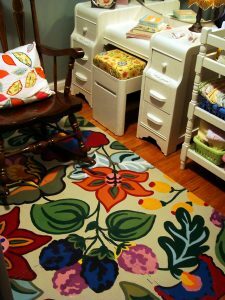 Tip: If your rug is more “plush” use fabric paint instead of regular interior paint.